The product panel of the VIASURE family has been increased with new references for the detection of pathogens causing gastrointestinal and respiratory infections. In addition, a new section for sexually transmitted diseases has been added, where the “Group B Streptococcus” Kit is already available. The Real Time PCR molecular biology technique allows the identificacion of pathogens causing infectious diseases by the amplification of DNA fragments, with high levels in sensitivity, reliability and reproducibility. 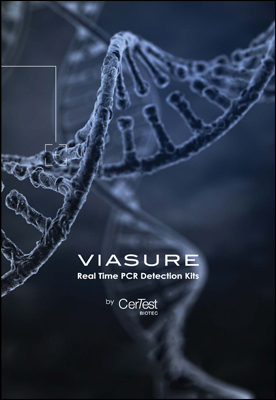 The updated list of VIASURE Real Time PCR Detection Kits is now available, by clicking here (.pdf 599 Kb).